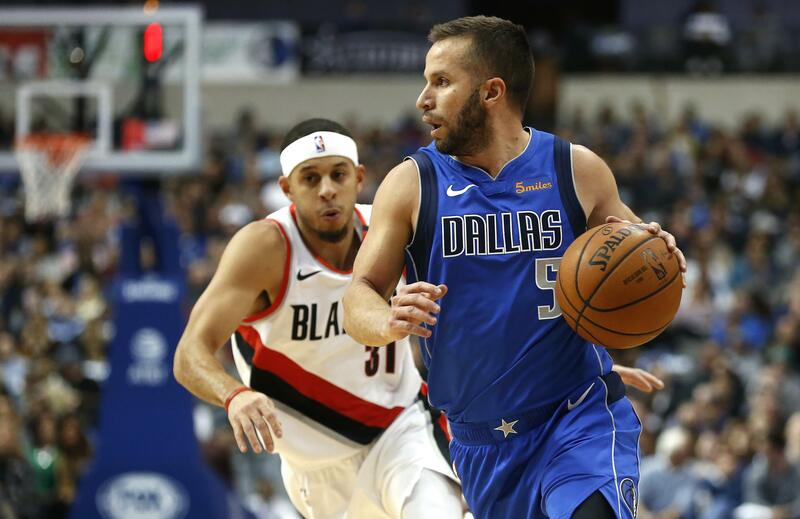 Tue., Dec. 4, 2018, 8:46 p.m.
DALLAS – Luka Doncic scored 21 points and Wesley Matthews added 17 as the Dallas Mavericks won for the ninth time in 11 games, beating the Portland Trail Blazers 111-102 Tuesday night. INDIANAPOLIS – Myles Turner matched his season high with 18 points and added 11 rebounds and five blocked shots as Indiana spoiled the debut of new Chicago coach Jim Boylen. MIAMI – Aaron Gordon scored 20 points and grabbed 13 rebounds, Nikola Vucevic finished with 19 points and 10 rebounds and Orlando beat Miami. Justise Winslow scored 14 for Miami, which had won two straight – and still hasn’t had a three-game winning streak this season. Kelly Olynyk scored 13, Hassan Whiteside had 12 and Dwyane Wade and James Johnson each added 11 for the Heat. Whiteside left the Heat bench with 40.5 seconds left and walked to the locker room. He didn’t play in the fourth quarter, and has been unhappy when that’s occurred in the past. SALT LAKE CITY – Donovan Mitchell scored 20 points and Rudy Gobert had 18 points and 10 rebounds to lead Utah. Kyle Korver scored 15 points in his first home game since he returned to the Jazz, and Derrick Favors added 14 points as Utah won for the first time at home in nearly a month. The Jazz beat Boston 123-115 on Nov. 9, but have been on the road much of the season and haven’t found a rhythm at home. PHOENIX – Buddy Hield scored 20 points, De’Aaron Fox had 16 points and seven assists and Sacramento coasted past Phoenix. Rookie De’Anthony Melton led Phoenix with a career-high 21 points. Trevor Ariza and Josh Jackson scored 14 each for the Suns, who fell behind 36-9 after the first quarter. Phoenix has lost six straight and nine of 10. Published: Dec. 4, 2018, 8:46 p.m.